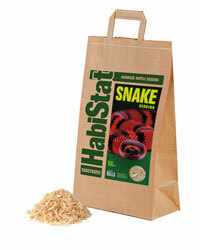 100% natural, HabiStat Snake Bedding is soft, shredded aspen wood designed specially for Snakes. Extremely absorbent and dust free. Our range of HabiStat substrates are all now packed in 100% recyclable and biodegradable paper bags.